Replacement is the definite answer only in certain circumstances. For example, it’s a no-brainer if the air conditioner is older than 15 years. If this is the case it’s definitely time to think about replacing it, even if it’s working and doesn’t call for a repair. If it was built on or before 2002, and that means it’s not a matter of if but when you will face a costly AC repair bill in Charleston, SC. Without even looking at the air conditioner it’s pretty certain that the Seasonal Energy Efficiency Ratio (SEER) is eight or less. The money you could therefore save on utility costs by opting for a replacement would help pay for the new unit. The advice is: do your research and planning now so when the time comes you’ve already made the educated decision. You really do not want to be rushing to make this choice when your cooling has packed up. The second situation where HVAC replacement is pretty obvious is when the warranty is out of date on your unit’s compressor and it needs repaired. Replacing the components involved would be equivalent to a heart transplant. But human heart transplants can be justified by the extra value people have outside the cost of the operation. Machines don’t give us this benefit. 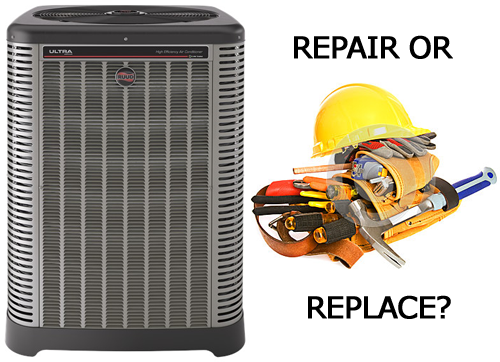 While this kind of repair can work out cheaper than new AC equipment, it’s not a good investment as the new components are likely to put additional pressure on other parts of the system, so it isn’t going to last long, one way or another. This is another opportunity to save money in both repairs and utility costs. Remember, your new equipment will have a new warranty and run more efficiently. New air conditioners are also supplied with environmentally friendly refrigerant that costs less than the old R22 refrigerant, which still exists in air conditioners, even though it was phased out for new units back in 2015. Unfortunately, the replace or repair choice is not always so obvious. This is the time to follow the rule of thumb that replacement is probably worth it if your equipment has less than a quarter of its life expectancy still to run and any repairs are likely to cost over a third of the price of a replacement. Obviously, the top option would be for a highly qualified HVAC technician to honestly assess your equipment and give you good advice. Equipment that is 10 years old and hasn’t been regularly maintained or whose original installation was of poor quality probably needs replacing. Then there are 20-year-old units that still look and work like new because they have been maintained regularly and don’t need to be touched. Even brand new homes can be stuck with the HVAC equipment that was put in by the builder on the cheap and is making your home less than comfortable and pushing your utility bills higher than they should be. The fact is every situation is different, as are everyone’s needs. What can help in determining what’s best for you is knowing how much could possibly be saved by replacing older, inefficient equipment. When all is said and done the decision to repair or replace your air conditioning equipment has to be made on comfort, financial, and environmental criteria. If you’re still not sure what to do, maybe an analysis and estimate of your existing equipment is in order. 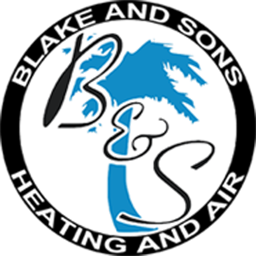 Give Blake & Sons Heating & Air a call at 843-303-8328 today.